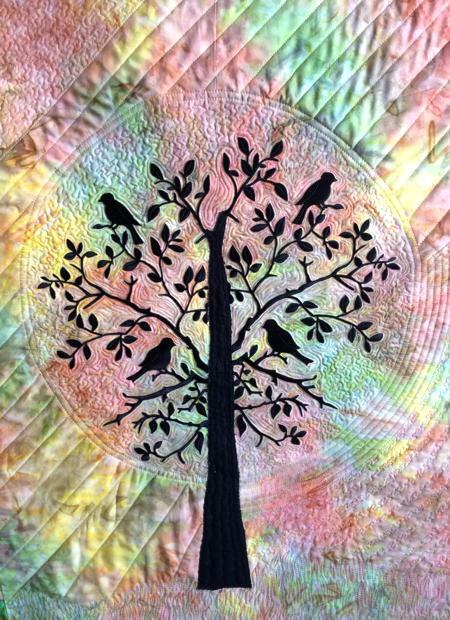 This machine embroidery design is part of our Birds and Redwork Birds collections. It uses the Graphic Technique technique. It will fit the Large hoop (5" x 7"). There are 2 embroidery files - with and without frame. For this quilt we used the design without frame. You can read about how to sew the quilt on the project page. 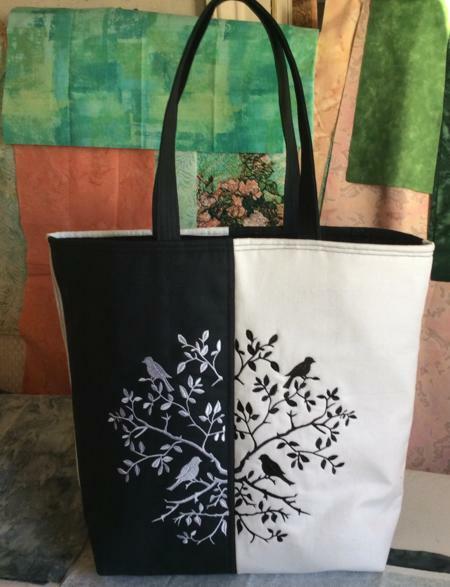 This is the back panel of our black and white tote. You can read about how to sew this tote bag on the project page.